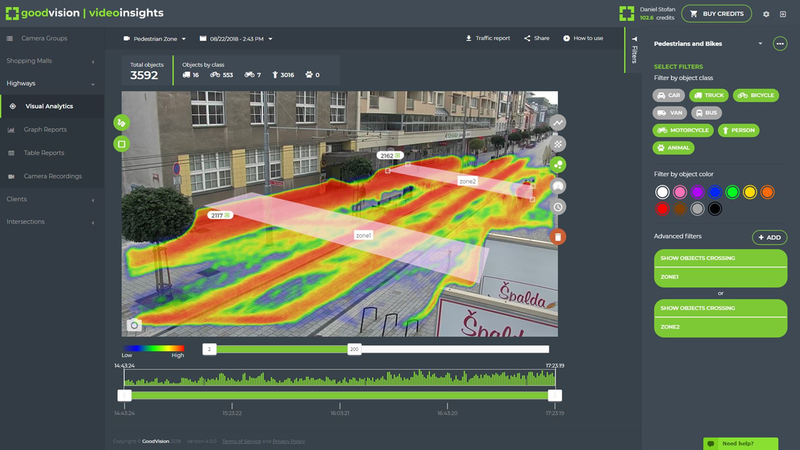 Our mission with GoodVision is to deliver automation tools boosting productivity of traffic engineering processes, together with perfect data presentation experience. Tools allowing any organization to do things in the same way as hi-tech corporations, yet simple enough to use without knowledge or training. GoodVision is a startup from Prague, Czech Republic, established in August 2017 and founded by two founders — Daniel Stofan and Lukas Hruby. Our team is located in Prague and some of us btw are 2 Microsoft ImagineCup Winners, 1 Amazon AlexaPrize finalist and 4 Upsilon Pi Epsilon members. Good decisions require Good data. Whether it’s traffic on the road or people on footpaths, in public areas or visiting shops and restaurants, effective collection of reliable traffic data means greater prerequisites for better urban planning, street design, transportation management and mobility. Current data collection methods on traffic and transportation infrastructure are generally inefficient. They are either resource-intensive or time consuming, leading to infrequent analysis or analysis based on small sample sizes or outdated data. Cities and businesses make development decisions with long-term implications based on partial and potentially poor data. Traditional limited solutions include human counters and the invasive, proprietary, single-purpose traffic sensors. 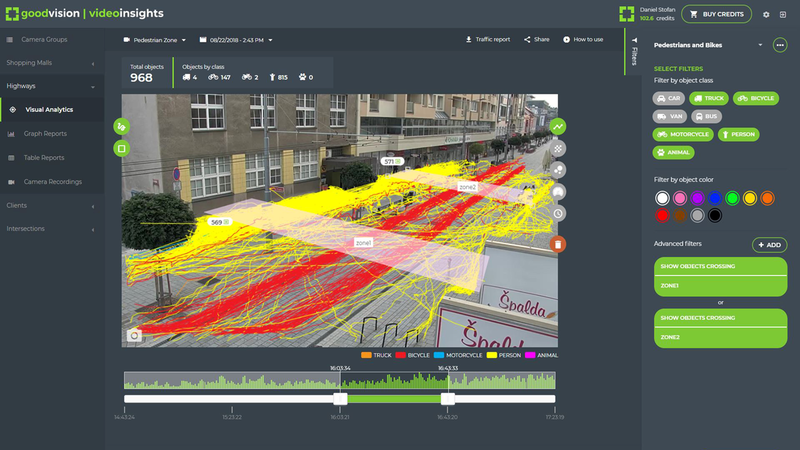 How to gather reliable traffic information even from big amounts of camera recordings under variable weather conditions automatically and just in time? 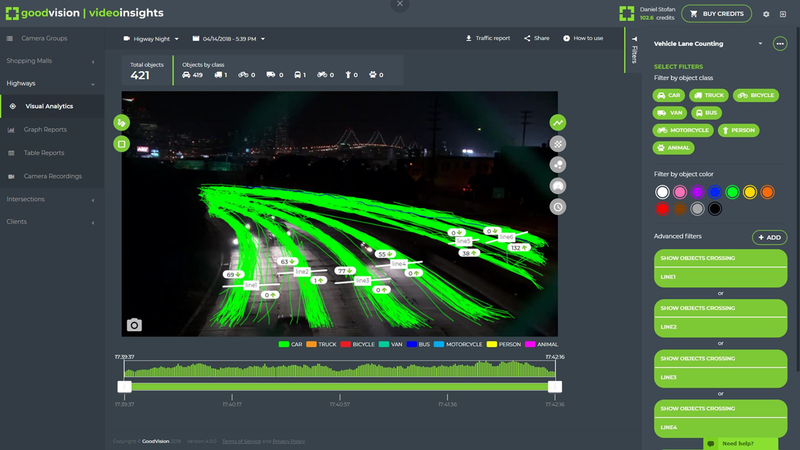 Our product GoodVision Video Insights is the autonomous B2B SaaS data retrieval tool providing highly reliable information about traffic and other happening under the surveillance cameras. On top, it provides users with advanced data analytics, data visualization and managerial reporting. Video Insights is a platform covering the whole process of customer’s operation from data collection to decision making in a single product. Traffic management is a super-attractive $59 Billion market growing significantly since emerging of intelligent technologies. We focus on organizations which utilize real-world outdoor and indoor traffic and footfall data for their business and daily operations. These are typically Civil Engineering firms, Traffic Data Collection companies, Traffic Telematics and Camera Operators. Data we provide are however important also for Market Research, Management Consulting firms, Real Estate and brick & mortar retailers. Traffic Counting, Traffic Surveys & Analyses, Road Construction, Urban Strategy, Mobility Planning, Location Analytics, Traffic Simulation and Modelling, Road Safety Analyses. 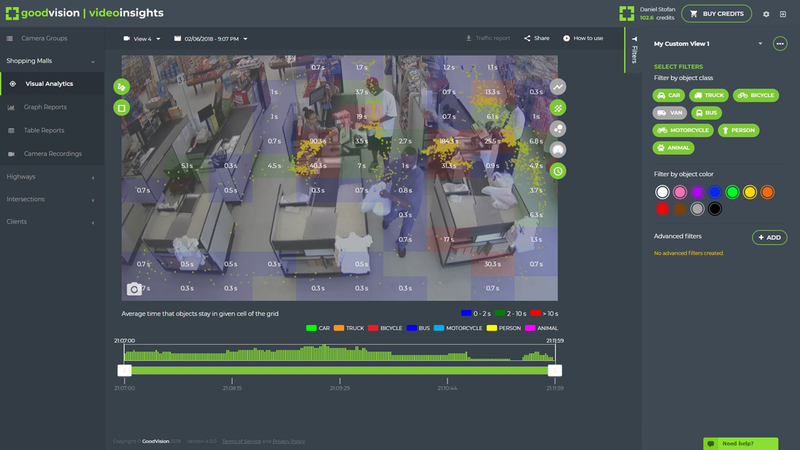 Retail Analytics, Shopper Potential, Mall Layout Optimization, Opening Hours Optimization, Product Positioning, Display Capture Rate, Shopper Counting. Video Insights is a ready-to-use and fully self — serviced cloud SaaS service accessible at my.goodvisionlive.com. GoodVision charges for hours of video-processing in a pay-as-you-go model offering fair monthly subscription plans. The product is distributed via professional distribution channels of Value Added Resellers.